Auto, Blue Effeciency, Low Miles. 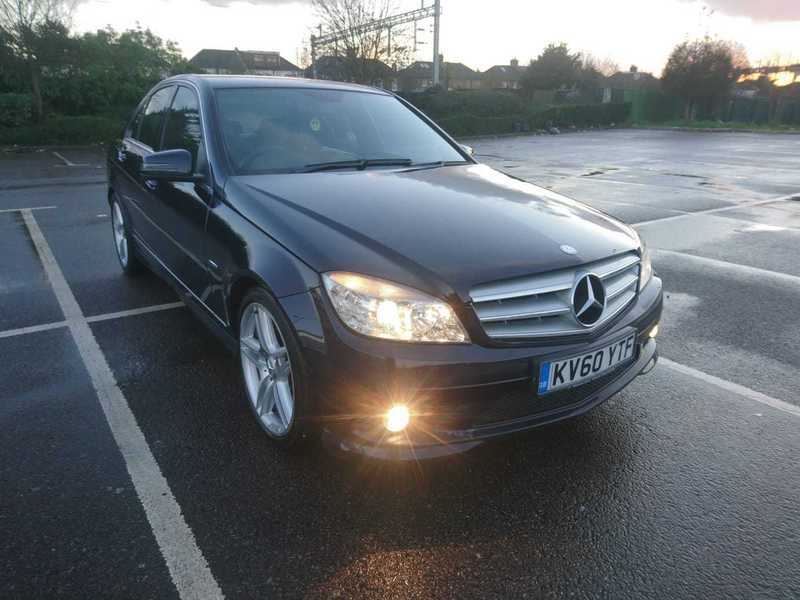 SSS Motors are happy to bring another amazing Mercedes C Class C350 CDI BLUEEFFICIENCY SPORT 3.0 4dr, 2010 (60 reg), Saloon. 58,000 miles, Automatic, Diesel. Car comes with Upgrades - Automatic Climate Control, 3 months warranty, 12 months MOT, Clean bodywork, Interior - Excellent Condition, Tyre condition Excellent, Standard Features - Rain Sensor, Brake Assist, Front Fog Lights, Electric Folding Mirrors, ISOFix Anchor Point, Steering Wheel Controls, Speakers, Privacy/Tinted Glass, Cup Holders, Body Coloured Bumpers, Speed Limiter, Traction Control, Safety Belts Rear, Safety Belts, Radio, Particule Filter, Parking Sensors, MP3, Electric Mirrors, Cruise Control, Bluetooth, Adjustable Steering, Side Impact Airbags, Front Airbags, Power Assisted Steering, Electric Windows, Climate Control, Central Locking, CD Player, Alloy Wheels, Air Conditioning, ABS. 5 seats, Blue. - 1 Year AA Breakdown Cover. - We accept debit/credit cards. At SSS Motors, we pride ourselves in giving the customer a hassle-free and no pressure buying experience with no extra Admin or Buyers Fees. Our staff are friendly and courteous and will do all they can to help you find the perfect used car to match your exact requirements. We offer a range of vehicles which are carefully selected. Our aim is to provide an unforgettable experience to all customers. All cars are pre-inspected before delivery with a fresh MOT. For total peace of mind, we run HPI Checks on all of our used cars including confirmation from the National Mileage Register that there are no recorded discrepancies on the current odometer reading.